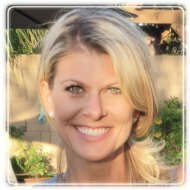 Scottsdale Therapist: Amy Bjorkman - Therapist 85260. Send A Message To Amy. I am a Licensed Psychologist with a private practice in Scottsdale, Arizona. I specialize in adult psychotherapy and the treatment of eating disorders, depression/mood disorders, anxiety disorders, relationship issues, family-of-origin issues, trauma, abuse and related issues. I have been active in the fields of psychology and mental health for over 20 years, obtaining my Bachelor’s degree in Psychology from Missouri State University, and my Master’s and Doctoral degrees in Counseling Psychology from Arizona State University. I received advanced specialty training in eating disorders during my APA-accredited internship and post-doctoral fellowship at the university counseling center at Arizona State University. I also obtained Level II EMDR (Eye Movement Desensitization and Reprocessing therapy) certification from the EMDR Institute. To ensure that each client is getting the individualized treatment and attention they deserve, I tailor my approach to meet the individual's counseling needs. I work with my clients to find a solution and develop the skills and coping methods needed to heal and improve their quality of life. I know that making the decision to seek therapy is often a frightening one that takes a great deal of courage. But once that decision is made, I have seen how tremendously rewarding my treatment can be when my clients reach their goals and overcome the challenges that have been holding them back. When individuals come to see me, I treat them with professionalism and respect. I integrate a variety of treatment approaches while working collaboratively with my clients to develop skills that will improve their quality of life. I offer a down-to-earth, straightforward counseling approach to help my clients feel comfortable and capable, while also providing deep and intensive treatment as needed to ensure that my clients achieve their goals. Whether you receive anxiety therapy, trauma counseling or therapy for depression, I will guide you as I work with you to address the challenges you're facing. My goal is help clients feel empowered by discovering their true potential in the healing process.